I didn't realize I hadn't posted this recipe to my blog. It's so easy that you can make it in the microwave. The original recipe is from my mom, but I've tweaked it to our family's taste. You can easily adjust it to your family's taste. Try adding basil instead of Italian seasoning, or add fresh garlic. Try less sugar. Try more water if you like a thinner sauce, less water for a thicker sauce. Stir. Cover and microwave 3-5 minutes. Remove from microwave and stir. Spread on pizza dough. Make pizza as you normally would and enjoy! 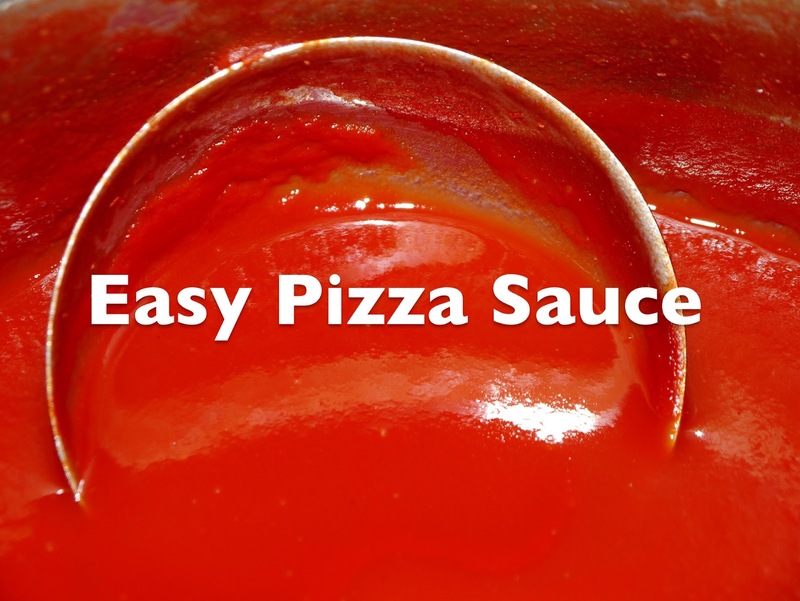 This recipe makes enough for two pizzas with a little extra, depending on how thick you like your sauce. This is an easy and frugal recipe that anyone can make. Sometimes I like to double or triple it and freeze the extra for later.